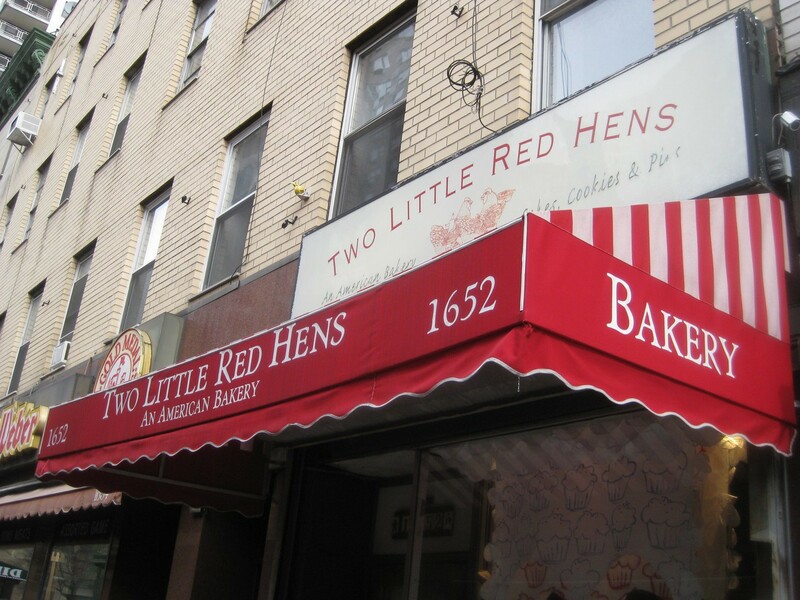 Supposedly one of the best places that one can obtain cheese cake in New York, aside from Eileen’s Best is here, at Two Little Red Hens. The place can get packed, so one should preferably go when the Christmas season is not going full-tilt boogie. If you do happen to end up going during Christmas or Thanksgiving, you’re just gonna have to sit through the crazy line that usually leaves you sitting in the cold. The cheesecake I must say, is worth it. The firmness of the cake was the most surprising aspect. Usually cheesecake is softer, but the Red Hen’s cheesecake was very firm, full of flavor, and gave my plastic fork a legitimate workout. Was it because the cheesecake was cold? Maybe. Regardless, the firmness of it really enhanced the “meal effect;” it sat inside of me like a chunk of hearty n’ hefty meat pie. Even the picture looks dense. What makes a cheesecake firmer or softer? This most likely warrants a closer look at the ingredients. 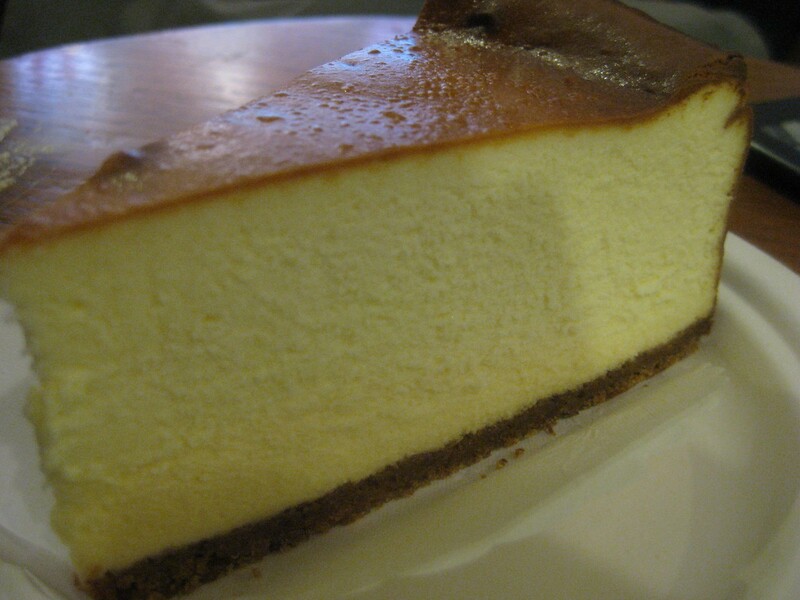 Cheesecake usually involves some flour, some cream cheese, heavy cream, sour cream, sugar, eggs, lemon juice, and zest. If we look at the density of our ingredients, it’s easy to tell that if we wanted a rock for a cheesecake, we’d just use 100% cream cheese and sugar and we’d essentially come up a with a brick of sweet cheese. That would be firm for sure. Adding liquid-y items such as heavy cream and sour cream will make your cake less firm, but more cheese and more egg white seems to offer much more protein and fat structure (especially once baked). The “airy yet firm” component comes from whipped egg whites, which incorporates that well-known egg white structure that wonderfully traps air for you. Okay fine, so cheesecake firmness is kind of a game of proportions. How does one make a firm, no-bake cheesecake? In this case, the eggs are gone. Making the cheesecake fluffy also becomes an additional challenge. One way to make a more firm no-bake cheesecake would be to add gelatin to the mix, as the protein structure is essentially odorless and tasteless, and simply adds additional bonding power within the cheesecake. The cheese to cream ratio can always be switched up in order to get a more firm cheesecake. I’ve also entertained the idea of using some sort of heated starch in a small amount of water, allowing that to be mixed in and then the mixture set in the fridge, which may help with bonding but has the potential to leave us a grainy cheesecake. Blerg. Another way would be to allow the cheesecake to chill in the fridge, or in some serious circumstances, a quick sit in a blast freezer (if you’ve got one). I would suspect that cold would reduce the intensity of the eating experience since it would freeze over your taste buds (oh stop whining, it’ll warm up in your mouth), but that’s one of those trade-offs you have to make when considering making a no-bake cheesecake. 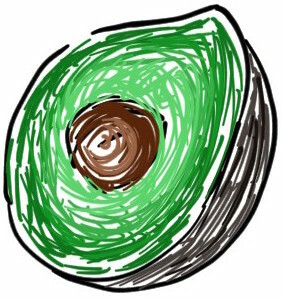 Stop being lazy and just make the original stuff. (Or not, I’m a fan of quick n’ easy desserts).